Fentanyl may be hiding in the drugs you’re using. Fentanyl is a synthetic (man-made) opioid that is more toxic than most other opioids, and can be prescribed by a physician to help control severe pain. Fentanyl is also being produced in illegal labs and sold on the streets, often mixed with other drugs. Increasingly, fentanyl is being detected in overdose deaths in BC. Fentanyl is around 20 to 40 times more toxic than heroin and 50 to 100 times more toxic than morphine, which makes the risk of accidental overdose higher. When fentanyl is combined with other opioids (like heroin, morphine, methadone or codeine), alcohol, benzodiazepines, or cocaine or methamphetamines, it can further increase the risk of accidental overdose. Combining substances (including alcohol), intentionally or unintentionally, increases overdose risk. It’s also important to be aware that drugs other than fentanyl can also be lethal, and that there is no quality control or regulated manufacturing process for illegal drugs. Illicit fentanyl is manufactured in clandestine overseas drug labs, both overseas and in Canada. It may be cut into powders or pressed into pills prior to being sold. Fentanyl is sometimes sold as fentanyl but other illegal drugs can also contain it, including heroin, cocaine, oxycodone, crack or meth. It may be in drugs that are in powder, liquid or pill form. These drugs may contain toxic contaminants or have different levels of fentanyl in each batch. Even pills produced in the same batch may have little to lethal levels of fentanyl. Be aware that drugs obtained from anywhere other than a pharmacy or a hospital may not be what you think they are, or what others believe them to be. 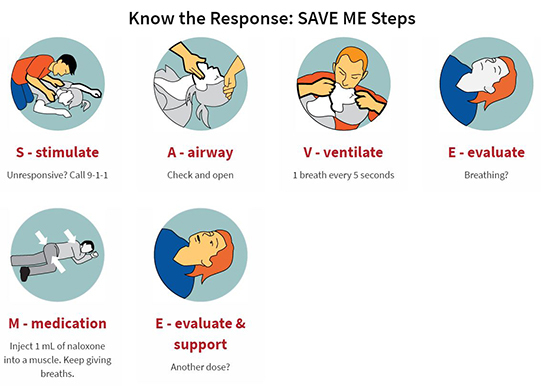 Learn how to recognize and respond to a drug overdose. See our tips for safer substance use. Cocain powder tested positive for cocaine and methamphetamine at Insite. Check your drugs at an OPS or SCS. 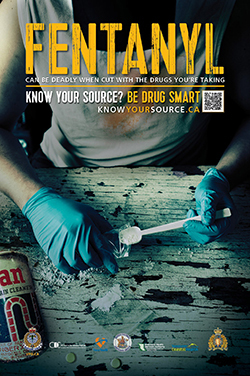 A fentanyl campaign from public health and law enforcement agencies. Our web page features risks, signs and how to respond.